After the Nokia acquisition by Microsoft, there are numerous questions that both investors and consumers are bound to have in mind. For example branding and innovation pace questions together with two company cultures merging. Nokia Conversations today held an “Ask me anything” forum with Stephen Elop who is former Nokia CEO and now Microsoft Head of Mobile Devices. Of course Nokia X has to feature a lot in the questions being asked, it being a smartphone range that is not running on Microsoft Operating system and also very new. In fact it came up quite late to the public after the announcement of the acquisition. One of the question that an asker had for Stephen Elop was where Nokia X sits after the acquisition. Nokia X comes running Android Open Source Project OS, completely stripped of Google services and any attempt to use a service that relies on Google is a completely frustrating experience. Nokia has tried to compensate for this with Microsoft services with front ends developed in-house by Nokia. Something which has several hiccups especially for someone who has already been exposed to Android previously. Nokia X comes pre-installed with Skype among other Microsoft Services that one cannot quite pick up as the most prominent like Office Mobile, Onedrive app though these are software products that are naturally coming. 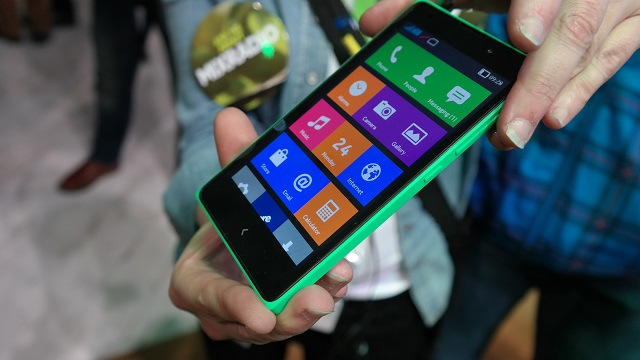 As Elop said in his statement, Nokia X runs on Microsoft Cloud and the Outlook App is available in the Nokia Store. I wouldn’t be sure whether the last part about tens of thousands connecting to Microsoft Services would mean that there are tens of thousands using Nokia X or that the users of Nokia X are yet to buy into the idea of Microsoft services.